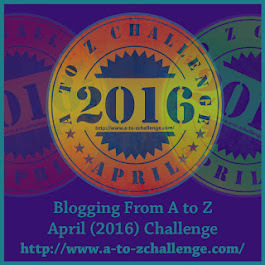 Welcome to the 2016 A to Z Challenge! 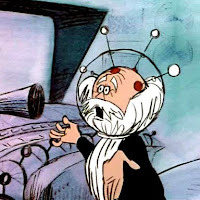 My theme is Crazy Hungarian Cartoons. 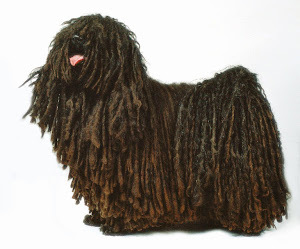 They are a staple of Hungarian childhood, and also something that Hungary is actually fairly good at. Enjoy! 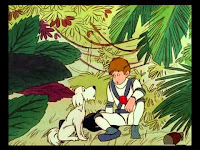 A 12-year-old Physics genius and a talking dog sneak out in their homemade spaceship every night to go visit mysterious planets. In the original show, the Strange Adventures of the Mézga Family (1969), the family owns a device that can connect them to their great-great-grand-descendant who lives in the 30th century. The old man named MZ/X sends them futuristic devices to make their life easier - but all of them unavoidably backfire sooner or later, and it is usually Aladár who figures out the solution (with the catchphrase "I'll tell you for a Forint") (as the Joker says: If you are good at something, never do it for free). 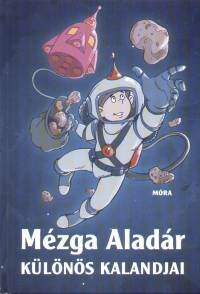 In Aladár's own adventures, the boy and the dog set out every night in an inflatable spaceship to go visit strange new planets. In the first episode, for example (in which the dog doesn't participate - Aladár takes a mouse first to test out space travel's effects on animals), Aladár ends up on a two-dimensional planet ruled by an evil tyrant who only allows one vowel (E) in speech. The episode is visual and linguistic genius: Visual, because all things on the planet are in two-dimensional cross-section (including people), and linguistic because there are entire conversations in eszperente. It is slightly disturbing, but also one of the best episodes of the show. You can find all 13 episodes online, either on YouTube or here, but sadly, I could not locate English subtitles. The original series, however, does have some subbed episodes on this YouTube channel. I am fond of all things 1972 because it was the year I was born :) Sounds like a very clever cartoon - I always love that about cartoons, they can be deeper than they look. Sounds like a cartoon I would enjoy. The relationship reminds me of Sherman and Mr. Peabody. Wow! Before my time, but I probably would have enjoyed it. The show sounds utterly amazing. Maybe it's the idea behind mr. Peabody and Sherman or the other way around? Who knows. In India we had a recent bollywood hit based on an extra terrestial character. May be it was inspired from these characters. For sure will watch the youtube episodes. Will be back for other alphabets. Aladár Mézga and his dog seem to have had a lot of adventures. I love how he takes a mouse on a journey first before experimenting with his dog and I agree with you an episode with only the e vowel has to be linguistic genius. This A to Z theme is one of the ones I am eager to follow. Sharing with my comic buddies who love this genre! Nice! I knew this one was going to be fun on your reveal day. Looking forward to more. I love that in any culture, in any era, children's cartoons are f***ed up. I am looking forward to this month! I can't believe you're maintaining two NO FLUFF A to Z blogs. I'm totally intimidated by your organizational skills and brilliance. :) Looking forward to reading more. I can't believe it either XD I hope I'll stay afloat! I'm a huge cartoon/animation fan myself. Never seen this but it kind of reminds me of Dexter's Laboratory a bit. It sounds very creative. Visiting different planets was a lot of work to create. Perhaps that is why there were only 13 episodes. Okay, I had no idea the Mezga family was Hungarian! Only saw one episode of it translated to Arabic. But Aladar sounds exactly like my kind of show, I would still watch it till this day, too bad there isn't English subtitles, maybe one day? ;) Nice post. Cartoons are a big part of the Belgian "folklore" as well. We all grew up with them (written in Dutch) and when I try to convey their meaning in our young lives to my American husband, he just doesn't understand. Cartoons in the US are of a different kind and quality than in European countries! That sounds like a fun cartoon. oh my godness i adore this!!!!! I have read your post totally and just gourgeous post have i ever read. Many thanks for posting here this informative articles.As my baby grows into a child, nursery rhymes are being sung more and more. This is a tale of one nursery rhyme which still makes me smile.